Out of all the casinos I have played at, having played for many, many years now, Winaday is by far the best. And has the BEST of everything! The games are top notch and have great payouts. By Jeanne F.
"I have cashed out at other places but you made the process unbeatable, you kept me informed throughout and all this at no cost to me. My new saying about your casino is “Why play with the rest, when you can play at the best!” Win A Day/Slotland casinos an experience you will never forget." By Cledith A. A fair, honest, and professional business. There are many players out there searching for the peace of mind and integrity that accompanies a reputable site such as Winaday. I want to thank all employees, top to bottom, for the stellar service provided." By Robert H.
Winaday makes a long commute to work fly by! Some of the best games are available to play on my phone. By Judy R.
If you're a fan of slots, then there's something you should know: Win A Day's instant casino offers slots that will blow your mind. Play slots at Win A Day and you'll never go back to another casino again. That's because with Win A Day you'll be able to experience a tremendous amount of fun in a very comfortable setting - your own home. What could be better than that? First off, you'll be happy to know that Win A Day is an online no download casino, which means that you'll be able to play during any time of the day or night from the comfort of your own home. Playing in a comfortable setting sure is a nice benefit, but Win A Day takes it one step further. Since Win A Day is an instant play casino, you won't be required to download any kind of software whatsoever. This can be a huge relief for those who are worried about downloading virus-ridden software or who are just not happy about loading up their hard drives with more software. With an instant play casino, all you'll need to do is register and you'll be able to play fun slot games almost immediately. 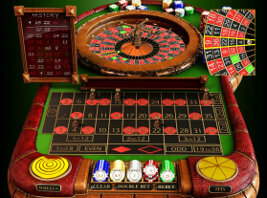 The Win A Day casino has a lot of slot games that you'll be sure to love. This is just one more reason why choosing Win A Day to play slots will make you a very happy camper. Whether you are into traditional slot games or slot games that are a little bit more creative, you'll be able to find it all at Win A Day. You'll also be happy to know that Win A Day features superb graphics and sound - so superb that you'll think you've entered a real glitzy casino. All you'll need to do in order to play is simply register with Win A Day. If you'd like to learn more about this one-of-a-kind casino or the many slot games and other casino games available, then feel free to browse through the rest of the Win A Day website. Also feel free to contact Win A Day if you have any questions or are in need of help with registering. Join Win A Day Casino and start winning now! "I have played at many online casino's and I would just like to say that Winaday is the Best online casino that I have Won at. Their games are all one of a kind you won't find them anywhere else. And the customer service support is Fantastic. If you haven't Played at Winaday I suggest you do."